Heat oven to 350° F. Spray or grease bottom only of a 13x9-inch baking pan with cooking spray. In small bowl, combine flour, baking powder, and salt; set aside. Some bars are especially suitable for picnics and packing for traveling and this is one of them. Bars with soft frostings should be avoided because the frosting may melt. Cut into bars, and pack between sheets of waxed paper in sealed plastic food containers. For optimum packing, wrap each individual brownie or bar cookie in plastic wrap. 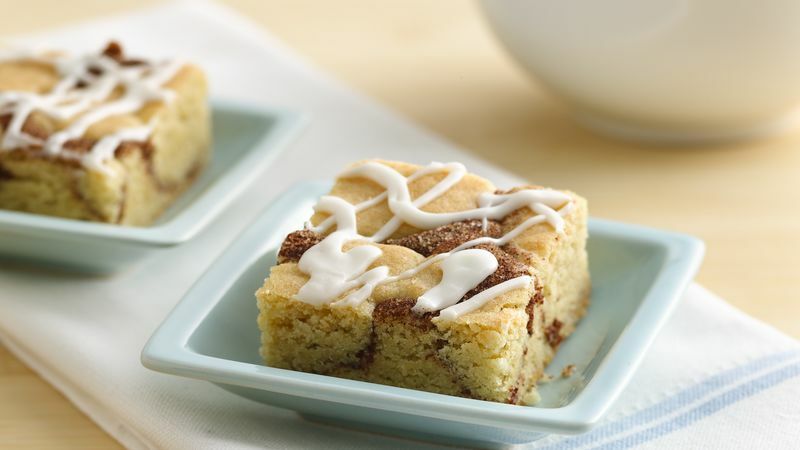 The inspiration for these bars comes from the classic snickerdoodle cookie, a favorite butter cookie coated in cinnamon and sugar. If desired, sprinkle 1/3 cup cinnamon chips or chopped toasted pecans over cinnamon-sugar filling in center of bars.